Here at Drainage Care, we can deliver a comprehensive range of unblocking services for all kinds of properties across the South West. If you’re suffering from blocked drains in Weymouth, either in your domestic or commercial property, our team will be able to help. We can identify and eliminate all kinds of blockages in your drains to ensure long-lasting reliability. It is absolutely essential that you protect your property from damage due to blocked pipes and drains. Failing to do so can result in a wide range of issues which can cause your property to suffer extensive damage which can require costly repairs. If one of your drains does become blocked, the damage that your system receives can be wide-ranging and long-lasting. Why is it So Important to Deal with Blocked Drains in Weymouth? As you’ll know, blocked drains can cause a variety of issues which can have a damaging effect on your home or business. The unpleasant gurgling sounds and slow-draining sinks, baths and toilet bowls are only the tip of the iceberg when it comes to the issues that your home or business could suffer from. Whenever blocked drains in Weymouth start to become serious, it can not only run the risk of damaging your property, but it can lead to areas which are hazardous to human health. It is absolutely essential that you choose to work with a professional team of drainage specialists if you want to create a space which is safe for yourself and your family, or your customers and employees. Pressure Spikes – As blockages can reduce the operational width of the pipes, the pressure of the water flowing through the system will be increased. In some circumstances, this can lead to pipes bursting or cracking.In these instances, the water can be emitted from your pipes and drains at a high pressure, creating a potentially dangerous and certainly unsafe area. In some instances, the water pressure can force the waste in the system to flow backwards in the pipe. This means that your toilets, sinks and showers could all begin to flood your property with the physical detritus and wastewater that you thought you’d disposed of. Leaks – If water or wastewater does start to leak from your pipes, this can cause a great deal of damage to your home or business. Even if there isn’t an obvious case of flooding, there is always the risk of the water leak causing mould or damp to grow in your walls or in your floor. This can cause a great deal of structural damage to your property. Waste Build Up – There is also the risk that human waste can become trapped in your drains due to the blockage further down the line. This is a major health hazard and can quickly make you and anyone else nearby fall ill. This will normally be accompanied by disgusting smells, sometimes like sulphur, which can indicate that you need to get in touch with a professional team of drain specialists. What Causes Blocked Drains in Weymouth? There are dozens of different reasons as to why your drains might become blocked – either in your home or commercial property. That makes it difficult to identify where the blockage is located and what has caused it in the first place. 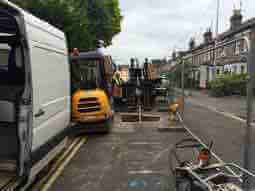 Drainage specialists will be able to conduct reliable CCTV drain surveys to identify the cause of the blockage. This service involved feeding a small camera through the drains. Using this industry-leading technique, your professional team will be able to quickly and easily discover what is causing the drainage problems on your property. Compacted Soil and Waterlogged Gardens. Tree Roots – These growths are attracted to the water in your drains. Roots from plants and trees will try to enter your pipes to access the moisture and nutrients in your waste. As roots can grow into even the smallest of gaps or cracks, they are a major threat to your drainage health. These can create some of the most difficult to move blockages, even for the specialists to resolve. Fats, Oils and Greases (FOGs). As you can see, these issues can cause a wide range of problems for your home or business property. If you’re suffering from any kind of drainage issue in the South West of England, don’t hesitate to get in touch with a professional drainage team. 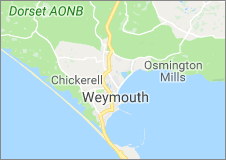 If you’re looking for a professional team to tackle your blocked drains in Weymouth, don’t hesitate! Here at Drainage Care, we can deliver a wide range of drain unblocking services to help you deal with any issues your property might be suffering from. Our experienced team have worked on all kinds of properties, including homes and businesses, to deal with all kinds of blocked drains. Whether you’re looking for CCTV drain surveys or reliable drain unblocking services, get in touch with our team today. You can reach us by calling 0800 193 9973 or, if you prefer, use our online contact form and we’ll get back to you.